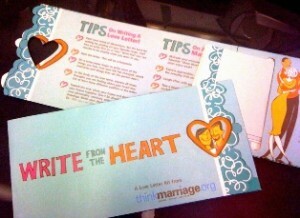 ThinkMarriage.com is offering a great little freebie, perfect for Valentines Day! You can now get a FREE Love Letter Kit with FREE shipping! This kit includes 2 pieces of stationary and envelopes, tips and suggestions, and a folder to hold everything together. *Allow 7-10 business days for delivery.